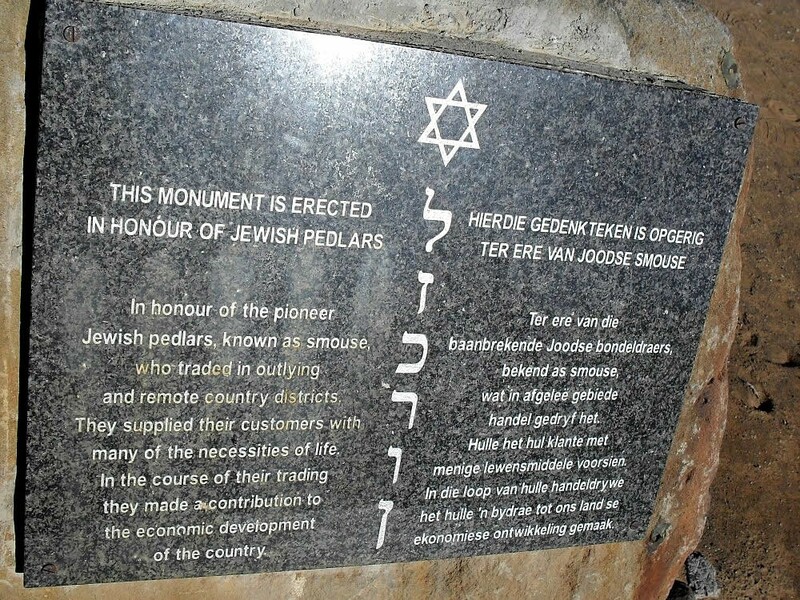 In honour of the pioneer Jewish pedlars, known as "smouse", who traded in outlying and remote country districts. They supplied their customers with many of the necessities of life. In the course of their trading they made a contribution to the economic development of the country.